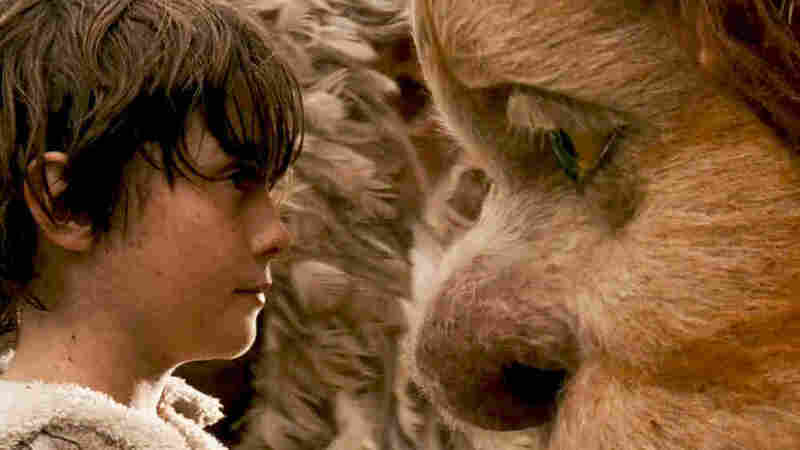 Movie Review - Where the Wild Things Are - Jonze's 'Wild Things' Is A Different Animal An adaptation from Maurice Sendak's book, Spike Jonze's Where The Wild Things Are has a vision all its own, says critic David Edelstein. And it casts a singular sort of spell: With a crack ensemble cast and an almost hallucinatory blending of reality and make-believe, it's "a fabulous treehouse of a movie." What a task director Spike Jonze has set for himself, adapting Maurice Sendak's Where the Wild Things Are. Sendak's illustrated children's story is one of the few things I can confidently call "perfect." It's the tale of a boy's tantrum and his fed-up mother's rejection of him — bed without supper. And it's the tale of the dream that transports him over the sea, in his wolf pajamas, to a land of monsters who crown him king and help him act out all his rowdy, infantile impulses — until the rage goes out of his system and he longs to return home. Sendak's huge creatures are on the border between stuffed-animal cuddlesome and mythically grotesque: perfect mascots for Sendak, whose fantasies are always double-edged. They can liberate you or consume you. 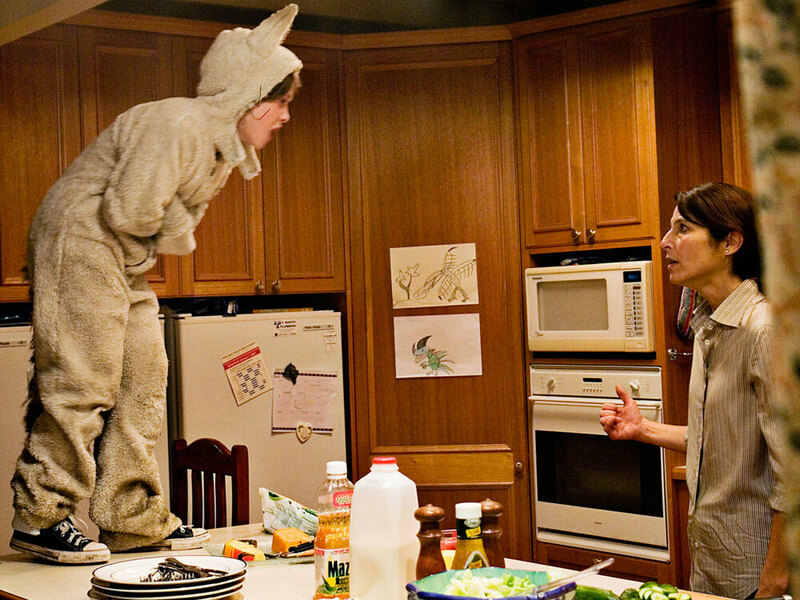 Jonze's film is a different animal than Sendak's book. Its wild things are more ... domesticated, and its characters come with a back story, to my mind one that spells things out too much. Max, a lonely casualty of his parents' divorce, freaks out when he sees his mom (Catherine Keener) getting frisky with a date. And one alteration by Jonze and co-screenwriter Dave Eggers is unpardonable: Max dashes out of the house instead of getting sent to bed without supper, so there are no bedroom walls melting away, no forest rolling in — one of the book's most indelible images. But once Max is in a boat being tossed on the waves, Jonze's vision begins to cast a spell all its own. Max is played by a kid with the name Max Records, who has a mop of hair and a sweet face but who's also petulant and edgy. It's an uningratiating performance that ends up being totally winning. Jonze and Eggers' most agreeable innovation is turning Sendak's rather anonymous beasts into complex and conflicted personalities: They sit around quarreling, smashing things, staring into space and wishing for a leader. And then comes little Max, who says he's a king from a distant land to keep them from devouring him. If you've seen the previews, you know the setting is real — the rocky coast of Australia, a burned forest, a desert — and the creatures decidedly unreal. They're giant puppets, furry or feathered, modeled on Sendak's drawings. Instead of being bombarded by computer illusions, we're allowed to suspend our disbelief and bring our own imaginations into play. For all the artfulness, the feel is rough-hewn. It's a fabulous treehouse of a movie. As many a kid (and adult) knows, the wolf-pajama'd Max launches himself into the world of the wild things after a fight with his mom (Catherine Keener). There is some computer animation, but it's largely used for the creatures' expressions, and I've rarely seen facial movements so evocative. Jonze rehearsed the voice actors together, instead of taping them separately (as in most animated films), and they're like a crack repertory company. Chief among them is James Gandolfini, who speaks in tender, plaintive cadences, all New Jersey gangster expunged, as the tempestuous lummox Carol. Carol needs a king, a firm dad, to direct his wayward energies. When he and Max walk in the desert, they bond over childhood anxieties as few characters in movies. I'm of two minds about how soft the movie is. But then again, this isn't Sendak's Where the Wild Things Are, and the creatures aren't just projections of Max's id. There has been a lot of talk about whether the film is too scary for little kids — to which Sendak crustily responded at a press conference, "Let them wet their pants." I think the scary charge is nonsense, though: Kids like to be scared. And these wild things, in the end, are human, a family in all its imperfections, which is what this boy needs. Unlike the childish carnivores of Sendak's book, these movie beasts just wouldn't eat their own.